James Matthews, a graduate music student at Belmont, was recently featured in a NewsChannel5 interview where he discussed his recent trip to Carnegie Hall for Christmas. 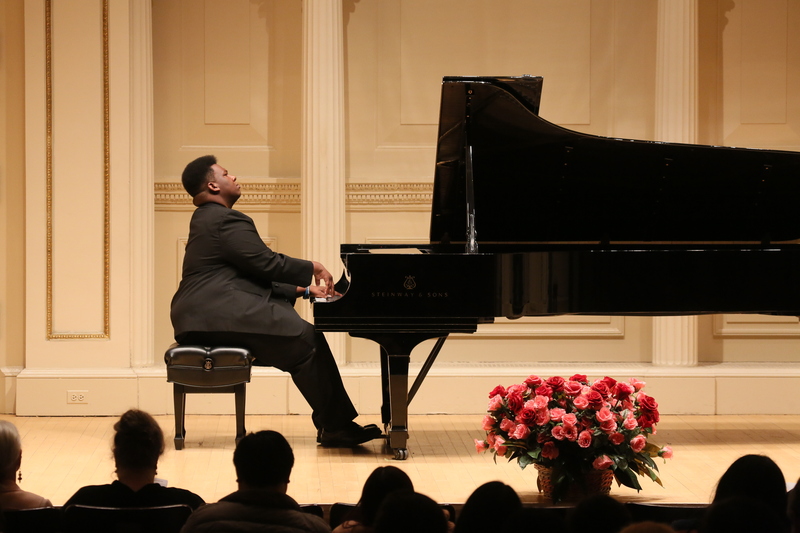 After winning the American Fine Arts Festival piano competition, Matthews earned the opportunity to travel to New York and play a solo recital at the esteemed venue. A classical music lover since he was 3-years-old, Matthews said his high school years brought about significant challenges. His family found themselves homeless and living on the streets for more than a year. After sleeping in truck beds and rehearsal spaces, Matthews earned a scholarship to attend college and began studying music for his undergraduate degree. Now, he is working on his master’s degree at Belmont.